Here is my first ever corner to corner afghan. I crocheted this using one strand of black yarn held with different shades of blue scrap yarn I had in my stash. 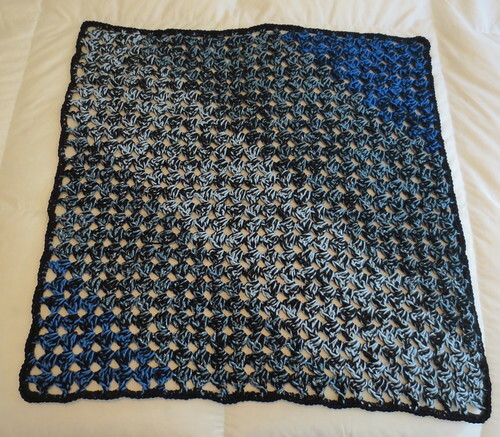 I tried to do a color scheme by starting and ending with the same bright shade of blue yarn. 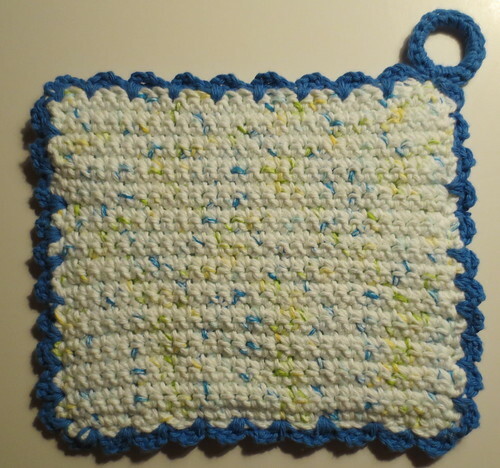 I then just used some different colors with a light blue yarn in the center. I used this corner to corner afghan pattern to crochet my blanket. 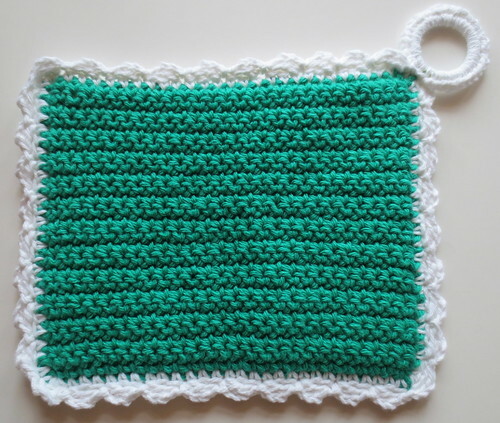 The pattern has a good video tutorial that is found here which I found very useful on how to get the pattern started. People frequently ask me where I find all the different colored bags for recycled bag projects. I admit it is harder to find pretty colors of plastic bags to turn into yarn or plarn as it is referred to now. 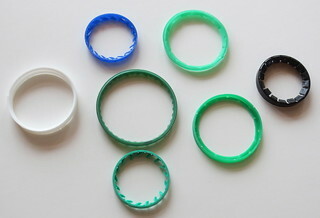 Plarn is the plastic yarn made by cutting recycled plastic into strips. One tip I want to share today is that you must be creative finding colorful plastic to recycle into plarn. 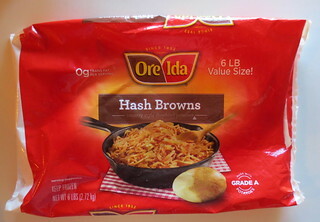 One such example is this large red plastic bag that hash browns are sold in.